The International Court of Justice said it received a complaint from Palestine of violation of international law. Palestine has filed a complaint against the United States at the International Court of Justice (ICJ) at The Hague over Washington’s illegal decision to move its embassy from Tel Aviv to Jerusalem, reports the Ramallah-based foreign ministry. The ICJ reported in a statement on Friday that Palestine was appealing on the grounds of the 1961 Vienna Convention of Diplomatic Relations, which states that a host country must locate foreign embassies in their territory. 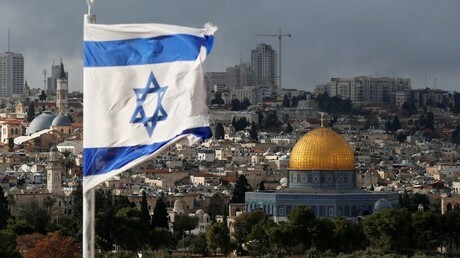 Even though Israel controls Jerusalem militarily, after occupying the eastern part of the city during the 1967 war, it officially enjoys international special status and ownership is disputed. Palestinian Foreign Minister Riyad Malki told news agency Wafa the complaint aims to preserve the holy city character of Jerusalem, with its spiritual, religious and cultural dimensions, in line with foreign policy. In order to proceed, the ICJ first has to rule if Palestine is considered a nation-state, even though it’s been recognized by the UN General Assembly as a non-member state since 2012. Rulings by the ICJ are legally binding, but it has no means to enforce its decisions. Countries such as the United States, for example, are known for ignoring it. 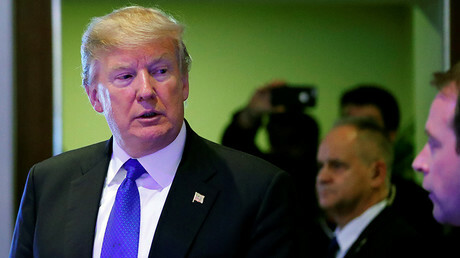 In a controversial decision that sparked international rejection, U.S. President Donald Trump ordered the embassy to be moved to Jerusalem. Guatemala and Paraguay followed the decision shortly after, but the latter then moved back to Tel Aviv after a change of government. Trials at the ICJ can last for years and no hearing has yet been scheduled. A piece of news from EFE agency notified this Thursday that the Palestinian heroine, 17 years old, Ahed Tamimi received an 8-month sentence at a penitentiary in the United States. The young woman went to Court escorted by a guard from Penitentiary Institutions that brought her in handcuffs that kept her restrained. On top of that she got a fine for 1,168 Euros because she slapped one of the Israelis soldiers that occupy by force the territory of her homeland. Earlier in her life when she was only 12 years old she responded to the threat of a soldier of Tel Aviv in her town Nabi Saleh, Jordan. The teenager served preventive prison since last December and the Military Office for Israel has promised her release next July. Tamimi, attended the Court based in the Israeli prison of Ófer, Jordan occupied territory and, after hearing the final verdict, she affirmed: “there is no justice under the Israeli occupation". The verdict also extends to her mother Narima, sentenced to other eight months and a fine of 1.400 Euros for appearing in the video next to her daughter. The pretext of her arrest took place when she participated in a manifestation against the order passed by Donald Trump of imposing the city of Jerusalem as the capital of Israel. Do you so-called human-rights defenders know this history? They almost made it to the pages in newspapers, news reels and digital media. Have they said something on Ahed Tamimi case? When they do they will begin to inspire an atom of respect. Only seven countries voted in line with Washington's interests: Togo, Micronesia, Nauru, Palau, Marshall Islands, Guatemala and Honduras. Haley was referring to a vote on a U.N. resolution to condemn the U.S. unilateral recognition of Jerusalem as the capital of Israel. East Jerusalem was illegally annexed by Israel after the 1967 war. Before U.S. President Donald Trump's declaration, Israel stood alone in claiming sovereignty over it. The eastern part of Jerusalem remains mostly inhabited by Palestinians who face house demolitions and evictions as part of Israel’s attempt to control the city. The U.S. unilateral recognition sparked waves of protests across Palestinian territory that have resulted in the deaths of at least 12 Palestinians and more than 600 arrests and detentions. The move also sparked condemnation of world leaders across continents as most viewed Washington's move as the end of a two-state solution. For decades, East Jerusalem was seen as the future capital of a Palestinian state. In spite of Trump’s comments, only seven countries — other than Israel and the U.S. — voted in line with Washington's interests: Togo, Micronesia, Nauru, Palau, Marshall Islands, Guatemala and Honduras. The “exclusive” invitation includes countries that chose to abstain from the vote, among them Mexico, Argentina, Canada and Australia. The Palestinian Liberation Organization called President Trump’s threat to countries voting against his Jerusalem decision extortion and blackmail. The Palestinian leadership responded Wednesday to the U.S. threat to cut aid to countries defying Washington’s decision to declare Jerusalem as Israel's capital saying such tactics of “extortion” would only isolate the United States globally. "President Trump should know that there are things that are not for sale or subject to blackmail, particularly issues of principle, legality and morality,” Dr. Hanan Ashrawi, Executive Committee Member at the Palestinian Liberation Organization said in a statement posted on the group’s website. Ashrawi added that she was confident that most countries at the United Nations will honor their “legal and political obligations on Palestine" in the upcoming vote at the U.N. General Assembly. On Monday the U.S. vetoed a draft resolution calling on Washington to withdraw its decision to recognize Jerusalem as Israel’s capital at the United Nations Security Council, while the 14 other members of the council voted in favor of the resolution. Arab and Muslim countries, infuriated by President Donald Trump’s decision on Jerusalem, called for an emergency General Assembly meeting in order to vote on the draft resolution. The 193-country body agreed to hold the rare meeting and will be held on Thursday. As a response to holding the special session U.S. Ambassador to the U.N. Nikki Haley, in a letter to dozens of U.N. states on Tuesday seen by Reuters, warned that Trump had asked her to "report back on those countries who voted against us." She bluntly echoed that call in a Twitter post: "The U.S. will be taking names." Last month the U.S. president ended decades of Washington’s policy stating that the status of the city of Jerusalem must be decided as part of a peace agreement between Israel and Palestine, a position that most of the international community continues to fully support. In the 1967 war Israel took over the eastern part of the city as well as the West Bank from the Jordan. In 1980, Israel annexed East Jerusalem and declared it as its capital, a move that was rejected by most countries in the world. Palestinians and most of the international community consider East Jerusalem as occupied territory and the future capital of a sovereign Palestinian state. If there’s a feature that distinguishes the administration of the North American president, Donald Trump is the lack of a foreign policy platform, augmented by some sort of fatal obsession to dismantle what could be called the legacy of his predecessor, Barack Hussein Obama. Without risking exaggeration it can be said that in that line of thoughts falls the recently publicized decision of the United States of transferring from Tel Aviv to Jerusalem the embassy of their country in Israel. The acknowledgement of Jerusalem as eternal and indivisible capital of Israel, according to a resolution of the Parliament of that country not recognized by the international community has been a red line that neither far-right U.S. presidents have dared to cross, Ronald Reagan and his Santa Fe platform included. The implications of the measure is great and the repercussions that will soon take place, deep both for the U.S. political credibility and the razorblade equilibrium of that volatile area which is the Middle East where Washington has key interests since, in essence, condones geographical expansion through territories under military occupation. For the Israeli Prime Minister Benjamin Netanyahu the moving of the North American embassy is some sort of manna falling into his lap in an adverse international political landscape to his plans of territorial expansion since such behavior leads to the perpetuation of a conflict of seven decades. It must be remembered that, after the acceptance by the UN General Assembly of Palestine as an Observer non-member State, the same status that The Vatican, several European countries decided to recognize it and establish diplomatic relationships. Without overlooking that it violates the IV Geneva Convention, of compulsory execution for all members of the international community, which outlaws the annexation of occupied territories by military forces, as it’s the case of Gaza, Cisjordania and East Jerusalem. Although in days previous to the North American announcement were abundant the talks on the topic, there was a tiny expectation for common sense to prevail and President Trump backed down or, at least, looked for a way of commitment that allowed him that impossible exercise of serving two masers at the same time. But pessimists were right all along and the North American leader chose to bang his fist on the table, but that on the long run, it can be harmful for the interests of his country in those Muslim States, among which Washington has allies whose first reaction has been quick to appear. Turkey, a NATO member summoned an urgency meeting of the Organization of the Islamic Conference; the Arab League called a meeting of chancellors to approach the topic and it’s expected, mainly, the reaction of Egypt and Jordan, the two only Arab countries that have diplomatic relationships with Israel. In a wide perspective the announcement has domestic repercussions in the United States, since it pleases a large sector on both chambers of the Congress favorable to Israel that have not accepted Trump just yet as one of their own, and abroad whose magnitude is yet to determine, given their implications in a matter of worldwide interest for being controversial and due to its political consequences. 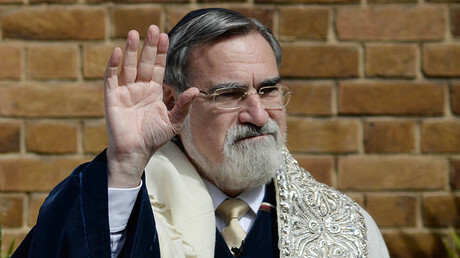 In its Prophecies the French theurgist of Jewish origin Michel of Nostradamus whom prophesied four centuries in advance the birth of Adolf Hitler and the catastrophe he caused, he predicted that the Third World War would begin in Jerusalem. It’s very unlikely that, for lack of a new Hitler, and for the contention impose by atomic arsenals, Trump’s decision can cause another war. But it’s also true that opens a period of risks from which it can emerge, as paradoxical as it seems, a clearer vision of the need to fix the Palestinian drama. As the dust settles on a UN resolution condemning illegal Israeli settlement building in occupied Palestinian territory, Iran has come out with a statement saying that Israel will pay dearly for continuing with the construction. A spokesman for the Iranian Revolutionary Guard Corps (IRGC) said that, by going ahead with settlements, the Israeli regime is risking “complete destruction,” as it will “definitely provoke a reaction,” as quoted by Tasnim news agency. The rhetoric from Iran comes a day after US Secretary of State John Kerry had criticized Israel’s activities in occupied Palestine, while playing down the United States’ role in facilitating the passage of the UN Security Council’s anti-settlement resolution. The resolution was upheld with 14 votes in favor. While the US didn’t vote for the resolution, it didn’t veto it either, which is seen by some as a landmark change, given that Washington has blocked virtually every attempt to criticize Israel at the United Nations for decades. Israel took control of Palestine in 1967, and has since faced mounting criticism of its occupation, which has included the construction of Israeli settlements on Palestinian land. Though the UN maintains that the settlements are illegal, construction has only been stepped up over the last year. Some 430,000 Israeli settlers currently live in the West Bank, with another 200,000 calling occupied East Jerusalem home – a city that the Palestinians also view as their own capital. In his recent comments, Kerry sharply criticized Tel Aviv, asserting that Israel’s settlements in the Palestinian territory have “nothing to do with Israel’s security,” as Israel often claims. Jerusalem’s zoning committee is expected to approve construction permits for hundreds of new homes in East Jerusalem, in a move which is illegal under international law. Settlement construction was slammed by the latest resolution adopted by the UN Security Council. The Jerusalem Local Planning and Construction Committee is expected on Wednesday to approve permits to build 618 apartments in Jewish neighborhoods across the Green Line, Haaretz reported. Some 140 homes will be erected in Pisgat Ze’ev, 262 in Ramat Shlomo and 216 in Ramot, Haaretz reported, adding that even more permit requests for Pisgat Ze’ev and Ramot may be added before this week’s meeting. According to other Israeli media reports, the Committee might approve as many as 5,600 homes in response to the United Nations Security Council resolution which condemned Israeli settlement activities and called for a halt to illegal construction. The planning committee will approve 2,600 new housing units in the neighborhood of Gilo, another 2,600 units in Givat Hamatos, and 400 units in Ramat Shlomo, for a grand total of 5,600 units in East Jerusalem, reported Israel Hayom. “We remain unfazed by the UN vote, or by any other entity that tries to dictate what we do in Jerusalem. I hope the Israeli government and the new US administration will support us, so we can make up for the lack [of construction] during the eight years of the Obama administration,” Deputy Jerusalem Mayor Meir Turgeman who heads the zoning committee told Israel Hayom. Israel captured East Jerusalem and the West Bank in 1967. Israel subsequently annexed East Jerusalem and considers the entire city its capital. Palestine claims East Jerusalem as its future capital. So far this year 1,506 housing units have been approved for construction in East Jerusalem, compared to 775 units in 2014 and only 395 units in 2015, Haaretz reported. But despite the UN resolution, construction is set to continue. “There has been no change in the position of the Jerusalem municipality ... construction in Jerusalem is necessary, important, and will continue at full strength,” the Jerusalem municipality said following Friday’s vote. As the city of Jerusalem prepares to approve new constructions, Israeli Prime Minister Benjamin Netanyahu summoned US Ambassador Daniel Shapiro on Sunday. Shapiro was contacted after Israel called in 10 representatives of 14 other states that voted for the resolution. While the US has traditionally been an ally of Israel, vetoing numerous UN resolutions against the state, relations somewhat soured under the Obama administration, which has slammed Tel Aviv's increasingly aggressive settlement policies. On Sunday, Netanyahu also used his weekly cabinet meeting to once again criticize Obama administration. “From the information that we have, we have no doubt that the Obama administration initiated it [resolution], stood behind it, coordinated on the wording and demanded that it be passed,” Netanyahu told ministers on Sunday. “This is of course in total contradiction to the traditional American policy of not trying to impose conditions of a final resolution ... and of course the explicit commitment of President Obama himself in 2011 to avoid such measures,” he added. Netanyahu has also reportedly instructed his ministers not to travel to the countries who voted in favor of the resolution. Earlier Sunday, Defense Minister Avigdor Lieberman ordered Israeli security forces to cease all cooperation with the Palestinians on civilian matters, while retaining security coordination, army radio reported.